Sophia Loren will be honored by the Academy of Motion Picture Arts and Sciences on Wednesday, May 4, at 8 p.m. at the Samuel Goldwyn Theater in Beverly Hills. “An Academy Tribute to Sophia Loren” will feature film clips and personal remarks from friends and colleagues, concluding with an onstage chat with Loren, the first performer to win an Oscar for a non-English-speaking role – Two Women, directed by Vittorio De Sica. De Sica directed Loren – who was married to producer Carlo Ponti – to another Best Actress Oscar nomination in Marriage Italian Style (1964), opposite her most frequent co-star, Marcello Mastroianni. Loren and Mastroianni also starred in Yesterday, Today and Tomorrow (1964), the winner of that year's Best Foreign Language Film Academy Award, and A Special Day (1977), which was also nominated in that category. More recently, Loren could be seen in Lina Wertmüller's Saturday, Sunday and Monday (1990); Robert Altman's Ready to Wear (Pret-a-Porter) (1994), again with Mastroianni; and Rob Marshall's musical Nine (2009). Sophia Loren, along with Myrna Loy, an Honorary Oscar recipient at the 1991 Oscar ceremony. Sophia Loren will be honored by the Academy of Motion Picture Arts and Sciences at 8 p.m. on Wednesday, May 4, at the Samuel Goldwyn Theater in Beverly Hills. 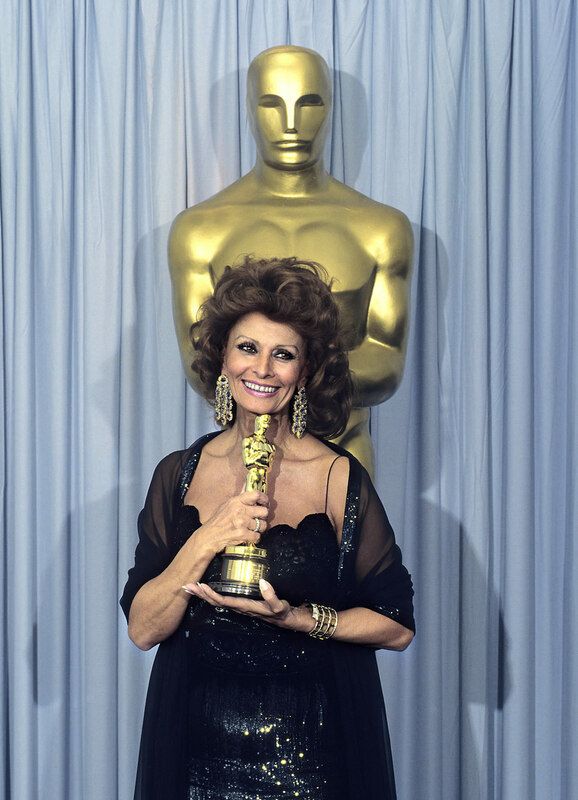 The Sophia Loren Academy tribute will feature film clips and reminiscences from friends and colleagues, concluding with an onstage chat with the 1961 Best Actress Oscar winner. Among Loren's international leading men were Marcello Mastroianni (in a number of films), Cary Grant (The Pride and the Passion, Houseboat, 1958), Frank Sinatra (The Pride and the Passion), Alan Ladd (Boy on a Dolphin, 1958), Clark Gable (It Started in Naples, 1960), Charlton Heston (El Cid, 1961), Gregory Peck (Arabesque, 1966), Marlon Brando (A Countess from Hong Kong, 1967, directed by Charles Chaplin), Omar Sharif (More Than a Miracle, 1968), Peter O'Toole (Man of La Mancha, 1972), and Richard Burton (The Voyage, 1974). 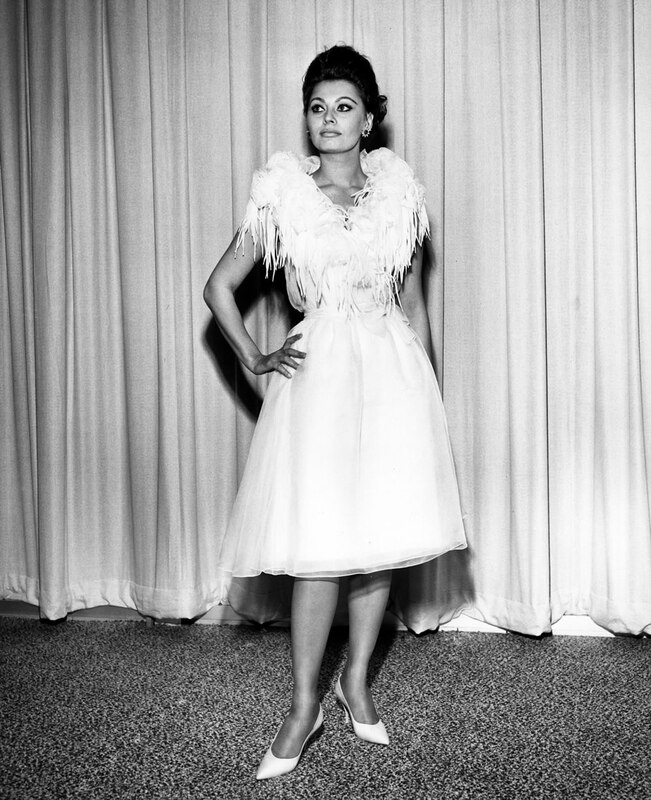 Tickets to “An Academy Tribute to Sophia Loren” became available for purchase Friday, April 1. There is a two ticket limit for this event. Tickets are $5 for the general public and $3 for Academy members and students with a valid ID. The Samuel Goldwyn Theater is located at 8949 Wilshire Boulevard in Beverly Hills. For more information call (310) 247-3600 or visit Academy's website. She's a gorgeous lady - but I find her so annoying!